Leaders overstate how much their relationships define national agendas. Anyone who has ever been to a meeting knows that meetings are often confounding, frustrating affairs. Most of them are designed simply to be held. The people who attend them are unlikely to agree on anything except maybe the date the next one will convene, and the possibility that they accomplish something gets smaller as the meeting itself gets larger. 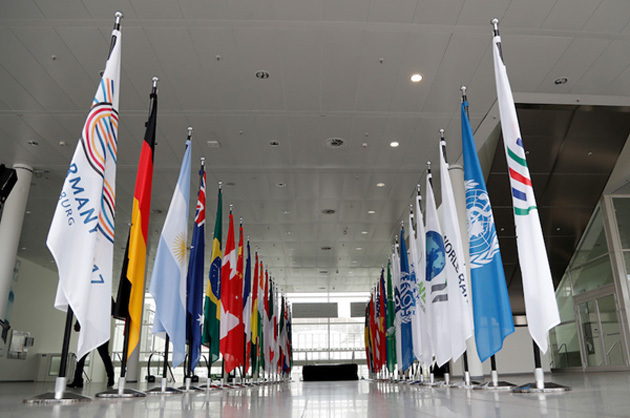 The G-20 summit, which will be held July 7, is no exception. But that’s only because the people who attend it, the leaders of the countries with the world’s 20 largest economies, think of themselves as decision-makers when really they are hostages to history. In fact, the dynamics involved at a meeting such as the G-20 are indifferent to the people who attend it. Personalities are interesting but ultimately indecisive in power politics. World leaders may not like Donald Trump – in fact, many do not – but since they cannot avoid dealing with the United States, still the world’s only superpower, they cannot avoid dealing with its president. The United States is inextricably linked to three major issues that will be addressed but probably not resolved at the G-20 summit. The first is the progression of North Korea’s nuclear weapons program, an issue the United States and China simply cannot ignore or fully resolve without at least talking to each other. On July 4, Pyongyang tested a missile it claims was an intercontinental ballistic missile. The North Koreans may be exaggerating, of course. The missile still needs guidance systems and a configured payload, but as U.S. Secretary of Defense James Mattis said, the United States can’t wait for North Korea to have a functional ICBM. Washington probably sees the trap China is trying to set but can’t really get around it; it will simply remember this later, after the North Korea issue has been resolved one way or the other, when it turns its attention back to Beijing. After all, the U.S. can damage the Chinese economy far more than China can harm the American. The second issue is Russian interference in the domestic affairs of other countries – a hot-button issue that elides some obvious facts: Nations interfere with other nations all the time, and the Russians have a long history of agitation and propaganda. Moscow has, in no uncertain terms, interfered in the domestic affairs of other countries, particularly former Soviet states that lay west of Russia. The government claims, albeit quietly, they are justifiable responses to meddling in the “color revolutions” of Eastern Europe in the 2000s, funded as they were by U.S. nongovernmental organizations. Whatever may or may not have happened in the 2016 U.S. presidential election is beside the point. The bigger issue for Russia is that its oil is cheap, and that cheap oil will continue to hurt the Russian economy. Nothing from the meeting will change that. The third issue is U.S.-German relations. The party of Chancellor Angela Merkel no longer uses the word “friend” to describe the United States in its platform. But in fact, Merkel has blamed Trump for a rupture he has little to do with. At issue are the national interests of both countries. Germany needs for the European Union to be economically healthy enough to buy the exports on which its economy depends, but the United States, which has little leverage or stake in the European Union, sees its disintegration as a European problem. And so Washington has been working with countries like the United Kingdom and Eastern Europe states on a bilateral basis to contain Russia rather than going through Brussels. Germany, moreover, wants to be in NATO and the EU, but both organizations have a hard time instituting policies that benefit all its members because none of its members have identical national interests. And then there is Russia. The last thing Germany wants to do, in light of its other problems, is confront Russia, but blocking Russia is central to U.S policy, and it needs Europe united in that regard. The divergence between the United States and Germany has been growing since 2008, and there is little Trump could have done to change things. World leaders take their relationships with other world leaders very seriously. To them, their relationships with their peers define their national interest. Though this line of thinking is misguided, it has its advantages, given Trump’s apparent unpopularity. Xi will blame Trump for disrupting a nearly successful peace process in North Korea. Putin, in an effort to dispel rumors of collusion, will blame Trump for conspiracies against Russia. Merkel will blame him for disrupting U.S.-German relations. Trump’s personality, however, will no more define what happens at the G-20 summit than his healthcare views will define what emerges from Congress. Why has the appeal of populist ideas grown in western countries? Is this a temporary phenomenon? In the wake of Brexit and the election of Donald Trump, the collapse in support for established political parties in France and the rise of the Five Star Movement in Italy, not to mention the surge of authoritarian populism in central and eastern Europe, these are important questions. What, first of all, is a populist? The abiding characteristic of populism is its division of the world into a virtuous people on the one hand, and corrupt elites and threatening outsiders on the other. Populists distrust institutions, especially those that constrain the “will of the people”, such as courts, independent media, the bureaucracy and fiscal or monetary rules. Populists reject credentialed experts. They are also suspicious of free markets and free trade. Rightwing populists believe certain ethnicities are “the people” and identify foreigners as the enemy. They are economic nationalists and support traditional social values. Often they put their trust in charismatic leaders. Leftwing populists identify workers as “the people” and the rich as the enemy. They also believe in state ownership of property. Why have these sets of ideas become more potent? Ronald Inglehart of the university of Michigan and Pippa Norris of Harvard Kennedy School argue that the reaction of older and less educated white men against cultural change, including immigration, better explains the rise of populism than economic insecurity. This is part of the truth but not the whole truth. Economic and cultural phenomena are interrelated. This study considers immigration a cultural shift. Yet it can also be reasonably viewed as an economic one. More important, the study does not ask what has changed recently. The answer is the financial crisis and consequent economic shocks. These not only had huge costs. They also damaged confidence in — and so the legitimacy of — financial and policymaking elites. These emperors turned out to be naked. This, I suggest, is why Mr Trump is US president and the British chose Brexit. Cultural change and the economic decline of the working classes increased disaffection. But the financial crisis opened the door to a populist surge. To assess this, I have put together indicators of longer-term economic change and the crisis, for the G7 leading economies, plus Spain. The longer-term indicators include the loss of manufacturing jobs, the globalisation of supply chains, immigration, inequality, unemployment and labour force participation. The indicators of post-crisis developments include unemployment, fiscal austerity, real incomes per head and private sector credit (see charts). The four most adversely affected of these economies in the long term were (in order) Italy, Spain, the UK and US. Post-crisis, the most adversely affected were Spain, the US, Italy and the UK. Germany was the least affected by the crisis, with Canada and Japan close to it. It is not surprising, then, that Canada, Germany and Japan have been largely immune to the post-crisis surge in populism, while the US, UK, Italy and Spain have been less so, though the latter two have contained it relatively successfully.Thus the rise of populism is understandable. But it is also dangerous, often even for its supporters. As a recent report from the European Economic Advisory Group notes, populism may lead to grossly irresponsible policies. The impact of Hugo Chávez on Venezuela is a sobering example. At worst, it may destroy independent institutions, undermine civil peace, promote xenophobia and lead to dictatorship. Stable democracy is incompatible with a belief that fellow citizens are “enemies of the people”. We must recognise and address the anger that causes populism. But populism is an enemy of good government and even of democracy. We can tell ourselves a comforting story about the future. The political turmoil being experienced in a number of large western democracies is in part another legacy of the financial crisis. As economies recover and the shock dwindles, the rage and despair it caused may also fade. As time passes, trust may return to institutions essential to the functioning of democracies, such as legislatures, bureaucracies, courts, the press and even politicians. Bankers might even find themselves popular. Yet this optimism runs into two big obstacles. The first is that the results of past political follies have still to unfold. The divorce of the UK from the EU remains a process with unfathomable results. So, too, is the election of President Trump. The end of US leadership is a potentially devastating event. The second is that some of the long-term sources of fragility, cultural and economic, including high inequality and low labour force participation of prime-aged workers in the US, are still with us today. Similarly, the pressures for sustained high immigration continue. Not least, the fiscal pressures from ageing are also likely to increase. For all these reasons, the wave of populist anger is only too likely to be sustained. If so, those who wish to resist the rising tide of populism have to confront its simplifications and lies, as Emmanuel Macron did in France. As he understands, they must also directly address the worries that explain it. Cultural anxieties are relatively immune to policy, except over immigration. But the economic anxieties can and must be addressed. Of course, politicians can also do the opposite. That is what is happening in the US. That will not end the populist surge, but promote it. This is, no doubt, the intention. HAMBURG – This year’s G20 summit in Hamburg promises to be among the more interesting in recent years. For one thing, US President Donald Trump, who treats multilateralism and international cooperation with cherished disdain, will be attending for the first time. Trump comes to Hamburg having already walked out of one of the key commitments from last year’s summit – to join the Paris climate agreement “as soon as possible.” And he will not have much enthusiasm for these meetings’ habitual exhortation to foreswear protectionism or provide greater assistance to refugees. Moreover, the Hamburg summit follows two G20 annual meetings in authoritarian countries – Turkey in 2015 and China in 2016 – where protests could be stifled. This year’s summit promises to be an occasion for raucous street demonstrations, directed against not only Trump, but also Turkey’s Recep Tayyip Erdoğan and Russia’s Vladimir Putin. The G20 has its origins in two ideas, one relevant and important, the other false and distracting. The relevant and important idea is that developing and emerging market economies such as Brazil, India, Indonesia, South Africa, and China have become too significant to be excluded from discussions about global governance. While the G7 has not been replaced – its last summit was held in May in Sicily – G20 meetings are an occasion to expand and broaden the dialogue. The G20 was created in 1999, in the wake of the Asian financial crisis. Developed countries initially treated it as an outreach forum, where they would help developing economies raise financial and monetary management to the developed world’s standards. Over time, developing countries found their own voice and have played a larger role in crafting the group’s agenda. In any case, the 2008 global financial crisis emanating from the United States, and the subsequent eurozone debacle, made a mockery of the idea that developed countries had much useful knowledge to impart on these matters. The second, less useful idea underpinning the G20 is that solving the pressing problems of the world economy requires ever more intense cooperation and coordination at the global level. The analogy frequently invoked is that the world economy is a “global commons”: either all countries do their share to contribute to its upkeep, or they will all suffer the consequences. This rings true and certainly applies to some areas. Addressing climate change, to take a key problem, does indeed require collective action. Cutting carbon dioxide emissions is a true global public good, because every country, left to its own devices, would rather free ride on others’ cuts while doing very little at home. Similarly, infectious diseases that travel across borders require global investments in early-warning systems, monitoring, and prevention. Here, too, individual countries have little incentive to contribute to those investments and every incentive for free riding on others’ contributions. It is a small step from such arguments to consider the G20’s bread-and-butter economic issues – financial stability, macroeconomic management, trade policies, structural reform – in the same vein. But the global-commons logic largely breaks down with such economic problems. Consider the topic that will be on all G20 leaders’ minds in Hamburg (except for Trump’s, of course): the threat of rising trade protectionism. A new report from Global Trade Alert warns that the G20 has failed to live up to its previous pledges on this issue. So far, Trump’s bark has been worse than his bite on trade. Nonetheless, the report argues, the thousands of protectionist measures that still impede US exports in other countries may well give Trump the excuse he needs to increase barriers of his own. Yet the failure to maintain open trade policies is not really a failure of global cooperation or a result of insufficient global spirit. It is essentially a failure of domestic policy. When we economists teach the principle of comparative advantage and the gains from trade, we explain that free trade expands the home country’s economic pie. We trade not to confer benefits on other countries, but to enhance our own citizens’ economic opportunities. Responding to other countries’ protectionism by erecting barriers of our own amounts to shooting ourselves in the foot. True, trade agreements have not brought benefits to a large number of Americans; many workers and communities have been hurt. But the skewed and unbalanced trade deals that produced these results were not imposed on the US by other countries. They were what powerful US corporate and financial interests – the same ones that support Trump – demanded and managed to obtain. The failure to compensate the losers was not the result of inadequate global cooperation, either; it was a deliberate domestic policy choice. The same goes for financial regulation, macroeconomic stability or growth-promoting structural reforms. When governments misbehave in these areas, they may produce adverse spillovers for other countries. But it is their own citizens who pay the greatest price. Exhortations at G20 summits will not fix any of these problems. If we want to avoid misguided protectionism, or to benefit from better economic management in general, we need to start by putting our own national houses in order. Worse still, the knee-jerk globalism that suffuses G20 meetings feeds into the populists’ narrative. It provides justification for Trump and like-minded leaders to deflect attention from their own policies and lay the blame on others. It is because other countries break the rules and take advantage of us, they can say, that our people suffer. Globalism-as-solution is easily transformed into globalism-as-scapegoat. The reality, as a latter-day Caesar might put it, is that the fault is not in our trade partners, but in ourselves. Fears of an EU breakup have subsided and Spain offers surprising growth, the Wall Street veteran writes. The mood among investors in Europe is generally positive in spite of mixed cyclical and secular factors influencing the economies and the markets there. The cyclical forces are dominated by a better business tone across the continent. The secular factors are the spread of populism as a result of governments not providing opportunity for the people, and terrorism, which can erupt almost everywhere and cannot be controlled. The secular factors will eventually affect spending and investment, but so far the data are coming in better than expected, and Europe should have real growth of 1.7% this year. Even the United Kingdom, with Brexit looming, should have real growth of 1.2%. In June, I traveled to five cities in Europe over a two-week period and talked to investors and policy makers about economic and political conditions and the outlook for the intermediate term. A number of views have changed over the past year. Concern about a breakup of the European Union has clearly subsided. Countries on the continent believe they are benefiting economically from their membership in the union, and even many in the U.K. realize Britain made a mistake by choosing to leave. Immigration and nationalism were the key issues. Most observers believe the degree of European integration will not progress much beyond the current level, which is based on open borders, free trade and a common currency. There will never be a political union, which was Jean Monnet’s original conception, but the European project, as it is sometimes called, is likely to endure for at least several more years and perhaps indefinitely. In contrast to a year ago, there is little fear that Greece will drag everyone else down. The country has negotiated a deal with creditors, and its economy appears to have stabilized. Italy, another country with a struggling economy, is expected to grow at 1% this year. Probably the biggest surprise is Spain, which I didn’t visit, but which has recovered nicely from its economic distress several years ago and is expected to grow at 2.3% this year. Similar to the situation in the United States, European financial markets have benefited from the increase in the balance sheet of the European Central Bank. My view is that central bank liquidity has been a key factor in the performance of the equity and bond markets in developed countries over the past eight years. Now that is changing: the Federal Reserve has already tightened twice with more increases likely, in my opinion, before year-end. The European Central Bank is talking about being less accommodative but has not taken definitive action yet. So far, Japan is still easing. A shift away from monetary expansion for the world’s major economies is likely to affect future returns, and everywhere I went investors were having difficulty finding attractive opportunities in what they perceive as a continuing low-interest-rate environment. They generally believe the public markets for equities are fully priced; inflation will rise, but not significantly; interest rates will remain low; and earnings will expand at a modest rate. Austerity is no longer considered a favorable policy alternative. What they fear is geopolitical dislocation that upsets this unexciting but positive outlook. Possible upsetting events would be North Korea developing an intercontinental ballistic missile that could reach California, Russia invading the Baltic States, terrorist acts becoming more frequent in Europe and the United States, or Iran escalating tensions in the Middle East by supporting anti-Sunni groups. Investors are suspicious of private equity and real estate because they believe Ebitda prices for the former are high and cap rates for the latter are low. There is overbuilding as well, and they wonder who will buy these assets when they are ready for sale. Europeans don’t know what to make of Donald Trump. There was general agreement that his decisions to withdraw from the Paris climate accords as well as his unwillingness to wholeheartedly back the obligations of Article Five of the NATO agreement have diminished America’s leadership status in the world. The biggest problem Europe seems to have with Donald Trump is his unpredictability. They are used to dealing with mercurial people, but they feel that they don’t know where Trump really stands on many issues important to them. As a result, their confidence in the American policy framework has been reduced. As on my trip to Asia last month, I was asked everywhere whether Donald Trump would be impeached and I told them it wouldn’t happen. Several investors made the point that Trump’s “America First” policy had brought the countries of Europe closer together. Europe has always been self-absorbed and latently nationalistic and it took for granted that the United States would play a leadership role in dealing with major geopolitical confrontations. Now, Europe can no longer count on that. There is also more talk in Europe about China’s growing influence in the world. China’s “One Belt One Road” initiative, which has it reaching out beyond its borders to increase its trade, investment and influence, is being widely discussed by investors. As I wrote in my last essay about Asia, there is a widespread belief that China will become the largest economy in the world sometime in the 2030s. At that point, it will expect to play a major role in world affairs. Exactly what that means for the United States and investors everywhere is hard to determine at this time. At the beginning of this year I thought the dollar would be strong against the euro and the yen, but that has not been the experience so far. The reason may be that the inability of the administration to get its pro-growth agenda implemented has reduced the likelihood of tax reform, extensive dismantling of regulation and infrastructure spending happening this year. I still believe we will have some of this legislation passed by the end of the year or in early 2018. That will be an imperative for the Republicans. They cannot go into the 2018 Congressional election without something substantive having been accomplished or their loss of seats in the House of Representatives will be significant. The recent election in Britain resulted in the Conservative Party losing its majority position in Parliament. As a result, Prime Minister Theresa May will have to form a coalition with minority groups to get legislation passed. Most of the U.K. investors I spoke with did not think she would be in office six months from now. She campaigned ineffectively and has demonstrated uneven judgment in the opinion of many investors. Investment professionals fear that because of populism the Labor Party may gain control of Parliament, which they view as disastrous. Right now, most expect London to continue as the financial capital of Europe, but they believe that a number of back office employees will be relocated to Dublin, Frankfurt or Paris. Everyone in Europe complains about intense regulation in the financial service industry. There is concern about rising inflation in the U.K. as a result of the decline in the value of the pound and the bilateral trade deals that will be negotiated, but the consensus seems to be that there will be a “soft Brexit” that will be implemented over a long period of time with only gradual overall impact. There are even some who believe there will be another referendum that will reverse the Brexit decision. The key issues facing Britain now are immigration and terrorism. The British are complacent about the economy. Naturally there is interest in when the next recession will take place in the U.S. I pointed out that the goal of the Federal Reserve is to maintain full employment with low inflation. With unemployment below 5% and inflation at less than 2%, the Fed has achieved its goals and isn’t likely to take precipitous action in the form of increasing rates abruptly. The Fed wants to prolong the expansion as long as possible because it doesn’t really have the monetary tools to get us out of a recession if we get into one. Interest rates are already low and a Republican Congress is not likely to provide significant fiscal stimulus. The excesses that usually appear before a recession, like rising unemployment, bloated inventories, increasing inflation, aggressive Fed policy in the form of increased rates leading to an inverted yield curve, are not present. I told the groups I met with that the next recession wouldn’t arise before 2019 or later. Many European investors anticipate rising interest rates. I told them that inflation was likely to stay low because wage rates and real estate prices were not rising sharply. In addition, the enormous liquidity created over the past eight years was somewhat risk-adverse and looking to the bond market as a place to hide. That’s why we have had negative interest rates in Europe and Japan. I expect interest rates to rise somewhat but to remain low by historical standards. In January, many Europeans expected the price of oil to rise this year and asked me why it had dropped into the $40s. I explained that inventories were very high and had to be worked off, technology had made hydraulic fracking profitable at lower prices for crude, and Iran and Iraq were producing more. These factors, coupled with modest demand increases, partly because of natural gas substitution and renewables, are behind the decline in price. Investors in Europe are puzzled as to why the unemployment rate in the U.S. is low when so many factory workers have been displaced by globalization and technology and artificial intelligence has reduced employment in the white collar sector. They know that the participation rate has dropped, but that doesn’t provide a complete explanation. They worry that inequality will lead to a rise in populism throughout the democracies of the West and result in political instability going forward. They fear that an aging population will require more support from the limited resources of government and that the various authorities won’t be able to meet their needs. A number of European investors are expanding their exposure to emerging markets. They know they may be early, but with a growing middle class and abundant natural resources, several countries should begin to outperform at some point in the future. With valuations for public securities in the developed markets high, emerging markets look relatively attractive. I told investors that my favorite emerging market was India and that I thought Japan was underestimated as an equity market opportunity. Most agreed that India was attractive, but I experienced major pushback to the Japan idea. Those opposed said that the only reason the market was doing well was because of massive monetary stimulus. Shinzo Abe’s Third Arrow of governance improvement, regulatory reform and investment has not taken hold. I pointed out that earnings for corporations were strong, (the first quarter was +27%), valuations were lower than in the U.S. and Europe, and Japan was underrepresented in institutional portfolios, but investors were skeptical. If they change their mind and start buying, the results could be dramatic. At the beginning of the year, I believed modest growth would take place across the world. I thought real growth in the United States would be around 2%, growth in Europe and Japan 1.5%–2.0% and in China 6.5%. I expected Donald Trump to get some part of his pro-growth agenda through Congress and implemented in the real economy. As a result, I thought there was a reasonable prospect for real growth in the United States to be moving toward 3% during the year. As events have developed, the new administration is spending its time defending itself because of actions which allegedly took place before the election and tweets that took place afterwards. It is off to a slow start in putting its ambitious program to work. But Donald Trump has been lucky throughout his life and the U.S. economy has picked up momentum because of natural forces. By almost any economic measure, the economy is reasonably strong and real growth for the year is likely to come in closer to 2.5% than 2%. First quarter corporate profit increases were twice the 5% originally projected and this trend is expected to continue. As for the equity market, it seems unstoppable. With earnings of $125, the Standard & Poor’s 500 is selling at 20 times. This is above the historical average, but at current interest rates it is a reasonable multiple in comparison with the relative unattractiveness of bond returns. My beginning of the year target for the index was 2500; we are basically there, but my dividend discount model shows the S&P 500 could trade above 3000 at these interest rates. Naturally, the market could be vulnerable to a 10% correction at any time. It is overbought and investors are overly optimistic. I have stressed the importance of liquidity in driving valuations higher. For most of the last eight years the S&P 500 has moved in tandem with the expansion of the Federal Reserve balance sheet. Since the beginning of 2017, the Fed balance sheet has been flat but the S&P 500 is up 10%. We may experience a summer correction, but the longer-term prospects remain favorable, so hang in there if a downdraft occurs. Global government bonds and the euro whipsawed on Wednesday as investors struggled to parse signals from central banks on when the massive stimulus programs that have underpinned markets will end. Top European Central Bank officials left investors with mixed impressions about when the ECB would reel in its €2.3 trillion ($2.6 trillion) bond-buying program, and the chiefs of the Bank of England and the Bank of Canada both suggested they would be reducing stimulus. The euro plunged against the dollar, then recovered. The pound and the Canadian dollar leapt. Yields on U.K. government bonds shot up. Yields on Treasurys and other bonds also moved higher. When and how much western central banks pull back from their unprecedented run of ultralow interest rates and quantitative easing are the foremost questions for global investors. An end to the ECB’s bond buying “is probably the most important supply-demand change that we can foresee in bond markets,” said Tim Haywood, investment director for fixed income at Swiss money manager GAM. The prospect of an end to stimulus has lurked in the background for months but has zoomed to the fore now that signs of an economic recovery are beginning to appear in regions that have long struggled to shake off the aftereffects of the global financial crisis a decade ago, especially in Europe. Owing to aggressive bank lending and bond buying, ECB has the largest balance sheet of any global central bank. Global bond markets have been strongly interconnected, and U.S. government bonds closely tracked moves in Europe on Wednesday. The yield on the 10-year Treasury note settled at 2.223%, up from 2.198% Tuesday. Higher yields on European government bonds make U.S. government bonds less attractive to overseas investors, who have been buying up Treasurys in search of better returns than what they can get at home. Investors had been selling government bonds and buying the euro since Tuesday, when ECB President Mario Draghi’s comments on a “strengthening and broadening” economic recovery were interpreted as a sign the central bank was preparing to trim its massive bond buying. But those moves briefly reversed on Wednesday. In an interview on CNBC, Vítor Constâncio, the ECB’s vice president, suggested investors might have overreacted to Mr. Draghi’s comments. An ECB spokesman declined to comment. The euro, which had neared $1.14 earlier in the day, plunged below $1.13. Then Mr. Draghi, speaking at a conference, repeated his positive outlook for the eurozone economy. By the early evening in London, the euro was at $1.1375, up 0.3% on the day. Meanwhile, Bank of England Gov. Mark Carney said on Wednesday that removal of stimulus in Britain may become necessary if the economy improves. That surprised investors, who have been counting on a very gradual withdrawal. The pound rose 1% against the dollar to $1.2937. U.K. government bond yields moved sharply higher. Yields rise as prices fall. “Central banks are stumbling here and losing a bit of credibility with mixed communications, whether that’s in Europe or the U.K.,” said Jon Jonsson, a senior portfolio manager at Neuberger Berman. Speaking at the same conference as Mr. Carney, Bank of Canada Governor Stephen Poloz said that the central bank might raise interest rates next month, sending the Canadian dollar 1.2% higher against the U.S. currency and pushing up government bond yields. The volatile trading highlights the sway central banks still hold in markets. “The central banks are the near-term likely candidates for triggering more volatility,” said Mr. Jonsson, who expects yields to continue to rise. In the eurozone, a run of strong economic data has put investors on alert that the ECB will soon start to withdraw its stimulus. Most investors believe that this will start happening in 2018, but they say the ECB could signal that as soon as this September. 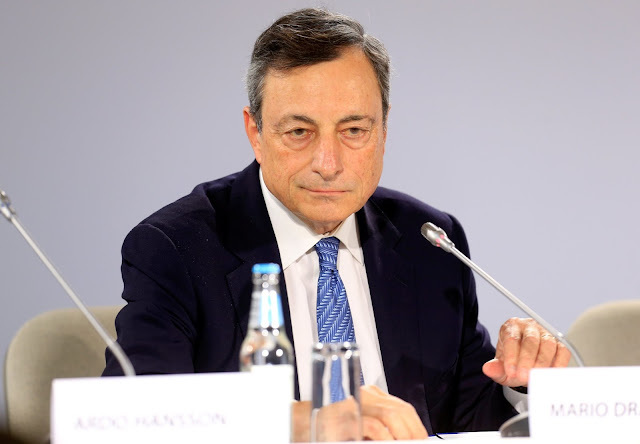 Frederik Ducrozet, senior European economist at Pictet Wealth Management, said that he had received an unusually large number of questions about Mr. Draghi’s speech on Tuesday. But he believed the market reaction that followed was largely unjustified. “It should be no surprise that Draghi sounded increasingly confident over the growth outlook,” he said. The eurozone economy grew 1.8% in the first quarter of the year over the same period in 2016, compared with 1.2% in the U.S. This week’s moves reminded investors of other so-called taper tantrums, when markets have tried to pre-empt central banks’ scaling back their stimulus measures by selling bonds. In 2013, the yield on the 10-year Treasury note rose sharply and emerging markets fell after the Federal Reserve raised the prospect of slowing its bond purchases. It is also not the first time that investors have sold off European bonds in recent years as investors anticipated an end to the stimulus. Olivier de Larouzière, head of interest rates at Natixis Asset Management, said yield-hungry institutional investors had seen the selloff in eurozone bonds as a buying opportunity. He said his trading desk had seen flows from Japanese and French insurance companies scooping up long-dated French government bonds on Wednesday. 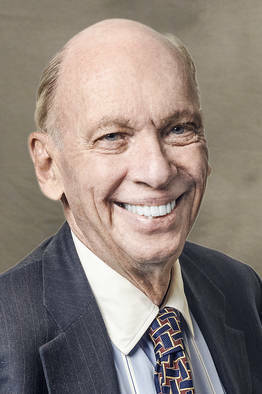 “As soon as you get a yield pickup, you get buyers, because investors are desperate for yield,” said Mr. de Larouzière. —Tom Fairless, Sam Goldfarb and Paul Vieira contributed to this article.